Lars joined Cradley at the start of the 1973 season on the recommendation of Cradley captain and number one Bernt Persson. Both rode for the same Swedish team Bysarna. Lars had been making great strides in his homeland and was chosen to ride in the Second Division England v Sweden Test series in 1972. He scored 8 points at Workington, 0 points at Birmingham and Canterbury but 11 at Bradford and 12 at Peterborough. 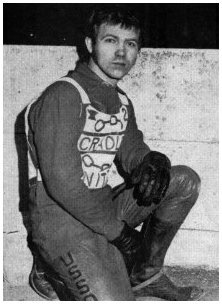 He made his debut for the Heathens at Swindon on 31st March 1973 with 4+2 bonus from 4 rides and made his home debut 2 days later at Dudley Wood with 3 + 2 against Halifax. 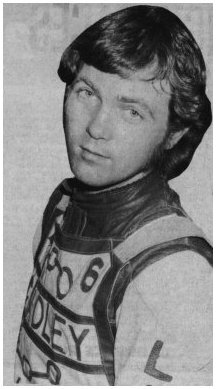 His best scores for the Heathens were 7 +1 from 5 rides at Coventry 16th May 1973 and 9 from 5 rides at Halifax on 28th May 1973. His highest score at Dudley Wood came on the 4th June 1973 with 8 points against Coventry.